Hide Quicken 2017 Coming Soon: The all new 2017 versions of Quicken are expected to be released by the end of October, 2016. 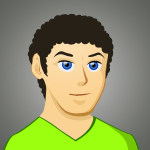 We are tracking all of the latest news and rumors for the next release so be sure to see what’s coming. Otherwise, you’ll find all of the current deals on the 2016 versions down below. 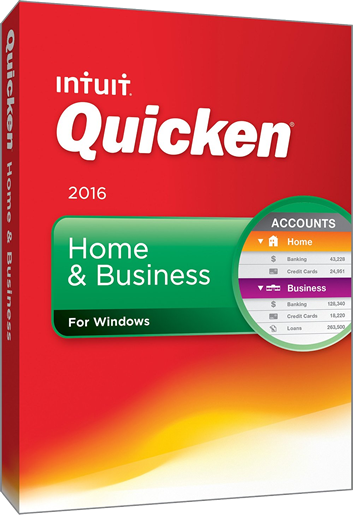 Quicken Home & Business now on sale. Amazon has the best prices on the all new Quicken Home & Business 2016 (it was jus released!). You can order and download your copy of Quicken Home & Business 2016 today and get up to 35% off the retail price. So you’ll be paying as low as $74.99 for a copy that normally runs for $114.95. Plus, you’ll get free super-saver shipping if you need the box with CD or can simply order the digital version and download your purchase right after checkout (this option lets you install it on your computer today with a copy saved in your Amazon account just in case you need to reinstall the software). Sale prices will change daily and across the different versions sold so see their store for more sale information. Sale prices may vary so see site for details. Offer may expire at any time. Pick up Quicken at Intuit.com. The all new versions are here and we can help you save $10.00 on your order with this instant coupon code for the official Quicken store at intuit.com. Just follow the above link and it will take you directly to Intuit.com where you’ll see the sale price listed drop to just $104.99 (regularly priced at $114.99). You will also be able to download your purchase right now so no waiting for the box to arrive and no need to pay extra for shipping. Offer only available when ordering at the Quicken Store at Intuit.com. This coupon expires on April 15, 2019. Get Quicken & TurboTax together. Our favorite bundle deal of the year is back for 2016. Head on over to Amazon and check out the options available for those looking to upgrade their Quicken software and us TurboTax this tax season. When you purchase the two together you’ll receive between $20.00 and $50.00 off your entire order. Follow the above link to learn more about this deal and where you can pick up the bundle. Offer lasts through April 15th, 2016. You’ll usually find copies of Home and Business on sale for about 10% off the manufactures suggested retail price (MSRP). And just like Staples and many of the other big box retailers, Best Buy also has a competitive price matching policy. So even though it might not be on sale this week for as much as the other authorized Intuit resellers, you will be able to work with them to match the sale price with one of the other deals posted on this page. Free standard shipping or free in-store pickup is also available. 100% satisfaction guaranteed by Intuit. If you buy it and then hate it then well, don’t worry! Even if you’ve read the reviews out there but end up not happy, you’re still covered by Intuit’s 60 day money back guarantee. Best of all, it doesn’t matter if you purchased the software directly at Intuit.com or any other authorized reseller, you can still return it for a full refund of the purchase price. Just follow the return processed outlined at Intuit.com and within a few days you’ll get your money back. Of course certain restrictions and you will need to provide a valid proof of purchase so see their returns page for all of the details. Can I get a student discount on Quicken Home & Business? Because Home & Business is made for working business professionals, there are no student discounts available on this version from Quicken. Regardless if you are a student or not, your best option to getting the lowest price is taking advantage of one of the above sale prices. Just keep in mind that many of the deals only run through April 15, 2019. If you are looking for other software programs and think that you may qualify for educational pricing, then you can see our full list of stores and brands that provide exclusive student and teacher pricing with up to 75% off the regular price on the exact same software products. Quicken 2017 Release Date Alerts! We won't share your info. Opt out any time! When will Quicken Home & Business 2018 go on sale? Here at Software Voucher, we are tracking all of the latest Quicken release date news and rumors. Be on the lookout for the 2018 versions to be released by the end of October, 2017. Where can I download the free trial of Quicken Home & Business? This is one of the most common questions that we come across for Quicken software but one that we don't have good news for. Unfortunately, Intuit does not have free trial versions available for any of their Quicken products. If you happen to see a 3rd party site advertising one, then it's probably a pirated copy. The good news is that Intuit has a generous 60-day money back guarantee on all of their software programs. So regardless if you but it from them directly or from a retailer, you have two months to decide if you want to keep it. To request for a full refund and to learn more about the satisfaction guarantee, follow this link to learn more. Learn more about Quicken’s upgrade discounts and their renewal policy for existing Quicken users who’s software is about to expire under the discontinuation policy. We work hard to make sure all the offers on this page are valid, but we're not perfect. If you find any deals that have expired or are not working for any reason, then please report them to us. Just before you give up, keep in mind that all physically entered special offer codes at Intuit.com are 10-digit numbers. Even a small mistake in entering the code can render it useless.